An undercover video report shows women openly barred from entering pubs and cafés in Muslim-majority areas of France, and a civil-rights group says it has launched a crusade to reclaim the areas for French women. Two undercover French women tried to enter a café in Sevran, a suburb of Paris, and were told to stay outside and wait for their male family member. They were not allowed to enter alone. "In this café, there is no mixing," someone can be heard telling them on the undercover video. "Is this normal?" one of them asks. "We are in Sevran. Not in Paris. It's a different mentality," the man tells her, adding, "It is like back home [in the Middle East]." The report, compiled by the TV channel France 2, shows how women are being booted from these establishments, with many men openly hostile to their presence in public at all, the Express reports. In Lyon, France's second biggest city, the report unearthed evidence that women are now actively altering their dress to avoid being threatened or abused by Muslim men. One young woman told the broadcaster that she does everything she can to not be noticed, including wearing baggy trousers and avoiding wearing skirts and makeup, the Express reports. When asked why, she told the TV station: "Because I'm afraid, as simple as that." Pascale Boistard, the women's rights minister, declared in reaction to the report: "There are now areas in our country where women can no longer go." Now a local women's group called Collectif des Femmes is organizing protest marches to cafes that are frequented by solely by Muslim men. Brigitte Desmet, a leader of the movement, said the protests are designed to encourage young Muslims "to participate in French society and not cut themselves off," the Express reports. A warning sign for U.S. cities? And some are warning the report should send a chilling message to American cities importing Shariah-adherent Muslims through the United Nations refugee resettlement program and other immigration programs. Pamela Geller, president of the Freedom Defense Initiative and publisher of the Geller Report, posted a blog on the report Tuesday and told WND the report vindicates Steve Emerson, a terrorism analyst who was vilified by the U.S. media last year for saying there were "no-go zones" in Europe. "Back in January 2015, Steve Emerson was banned from Fox News for using the term 'no-go zones,'" she told WND. "The mayor of Paris threatened to sue Fox News because Emerson said it on their network. U.K. Prime Minister David Cameron said Emerson was 'clearly a complete idiot' for using the term." In retrospect, Geller says people should now be asking, "Who's the real idiot?" "Emerson was 100 percent right in saying that such zones existed. The mayor of Paris and Cameron owe him an apology," she said. Watch the undercover video from France showing two women barred from entering a café without male family members to accompany them. 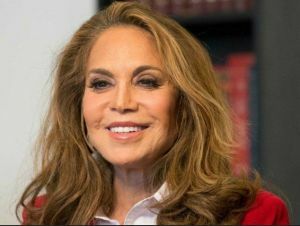 If President-elect Trump does not fulfill promises to significantly temp down the current rate of Islamic immigration, if not end it all together, Geller said the situation in Paris represents the future of Europe and North America. "Islam in America is no different from Islam anywhere else," she said. France should be a wake-up call to the rest of Europe, Canada and the United States, she said. "It could be [coming to America] very soon," Geller said. "I'd like to know how a woman without a hijab would fare right now walking down certain streets in Dearborn, Michigan." WND reported on Dearborn as recently as late October in a story that included a video drive through by documentary filmmaker Dennis Michael Lynch. In Muslim-dominated areas, there were no women on the streets seen without the hijab covering their hair. 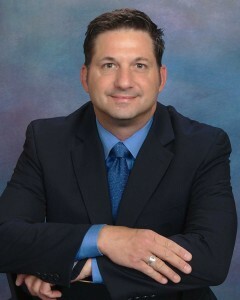 John Guandolo, former FBI agent specializing in counter-terrorism and author of the blog Understanding the Threat, said, "Islamic leaders have been clear that where there is an Islamic community, you have Shariah. With Shariah, you get areas non-Muslims are not permitted to go." Guandolo said he personally experienced it with Muslim leaders in Europe who openly acknowledged the no-go zones. "When I was an FBI agent, Muslims we arrested or interviewed in America said Shariah is the law of the land in their neighborhoods (Northern Virginia, Nashville, Minneapolis, Dearborn and others)," Guandolo said. "Therefore, they adjudicate crimes in the Muslim community via Shariah. So, of course, there are 'no-go' areas in Europe and the United States – they are the Muslim neighborhoods ruled by Shariah." Guandolo said a wealthy businessman took state legislators from Tennessee to Europe several years ago, and when they entered one European neighborhood, with the elected officials from that nation, Muslims tried to stop them from entering, claiming it was off limits to non-Muslims. The media firestorm that erupted after Emerson's remarks nearly two years ago included Fox News actually apologizing for saying there were "no-go zones" in Europe. 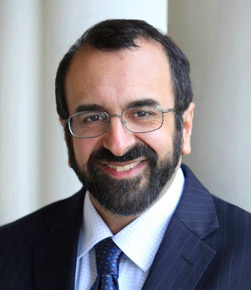 Robert Spencer, author of the Jihad Watch blog for the David Horowitz Freedom Center, said that was an absurd overreaction even if, at the time, Emerson "slightly overstated his case." Banning Emerson from the network was "unwarranted and unjust," Spencer said. "That was ridiculous then and is even more obviously ridiculous now. There are no-go zones all over Europe, and with the massive Muslim migrant influx, they're growing," Spencer told WND in an email. He said Pascale Boistard is "quite right" in declaring women have lost basic rights in Muslim-dominated cities in France. But unless the source of that inferior treatment is clearly exposed, the women's rights groups will not be successful in educating the French public, Spencer said. "The Quran tells women to cover up so that they will not be molested (see 33:59), which implies that women who are not covered up may be molested," Spencer said. "Certainly that is the assumption that all too many Muslim men in Europe are working upon, and will continue to do so." Meanwhile, another report out of Germany this week shows the huge influx of Muslim migrants in that country has led to widespread sexual assaults in every city where they have been sent. Shocking figures show 2,125 people were sexually assaulted this year across Germany, 199 were raped and 380 were molested in swimming baths by a combination of refugees or non-German nationals. There were also 319 murders and attempted murders committed by foreign nationals and migrants in 2016, 14 of which were committed against children. Migrants were responsible for 59 terror attacks in Angela Merkel's country since the start of the year and 112 incidents of arson. There were more than 1,200 sexual assaults against German women on New Year's Eve alone last year, forcing Germany to increase police protection by more than 10 fold, to 1,500, on the streets of Cologne for this year's festivities, the Express reports. "But Islamic supremacists are emboldened by the recklessness of Western political correctness to beat down truth tellers with their 'Islamophobia' batons, and they do it even as their coreligionists keep assaulting and victimizing innocents," Spencer wrote in a blog post Tuesday. Jihad Watch ran a piece Monday about Islamophobia motions being forced through in the Canadian Parliament, in a first effort to demonize any criticism of Islam and even a healthy concern for safety." Demonization of Islam critics has also been unfolding in Germany, where Facebook is cooperating with the Merkel's government to prosecute Germans under a new hate-crime law. President Obama's attorney general, Loretta Lynch, also tried to advance aggressive crack-downs on free speech that is critical of Islam in the wake of the San Bernardino massacre in which Syed Farook and Tashfeen Malik slaughtered 14 people at an office Christmas party one year ago. She was forced to walk back her comments after universal outrage was express by First Amendment advocates across the political spectrum.